April 5, 2018 - State House Celebration: A celebration of 25 years of education reform hosted by the co-chairs of the Joint Committee on Education. 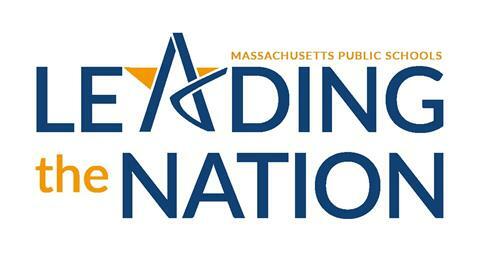 May 7-11, 2018 - Leading the Nation Week: A single week of local events throughout the state organized by school districts and community partners. These events could be showcases of student or teacher work, policy discussions, or a celebration of districts' strengths. Ongoing - Media Campaign: Includes social media and outreach to news outlets across the state about local districts' successes and celebrations. So how does Monty Tech compare? High school students involved in CTE are more engaged, perform better and graduate at higher rates. Taking one CTE class for every two academic classes minimizes the risk of students dropping out of high school. 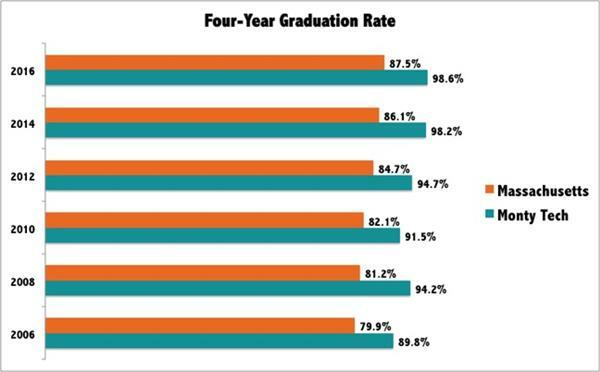 The average high school graduation rate for students concentrating in CTE programs is 93 percent, compared to an average national freshman graduation rate of 80 percent. 91 percent of high school graduates who earned 2-3 CTE credits enrolled in college. In addition to learning a trade, demonstrating technical skill proficiency, and earning industry-recognized credentials, Monty Tech students also demonstrate outstanding academic achievements. In only eight short years, our students have improved by 24% in Advanced & Proficient scoring on the English Language Arts MCAS exam and maintained an average of 82.6% Advanced & Proficient scoring in mathematics. And because of the school's commitment to rigorous STEM educational programming, our science performance is on the rise. STEM at Monty Tech is more than trendy term - it's a commitment to higher-order, rigorous learning opportunities that not only engage and excite our students, but also prepare them for countless career pathways. Did you know that Monty Tech is the only school in Massachusetts to have more than one science experiment included in the Student Spaceflight Experiment Program? In fact, 8 out of the past 14 flights have included incredible work from our students. The Student Spaceflight Experiments Program (SSEP) was launched in June 2010 by the National Center for Earth and Space Science Education (NCESSE), in strategic partnership with NanoRocks, LLC. It is a remarkable U.S. national Science, Technology, Engineering, and Mathematics (STEM) education initiative that gives typically 300+ students across a participating community the ability to design and propose real experiments to fly in low Earth orbit, first aboard the final flights of the Space Shuttle, and then on the International Space Station. The program provides seamless integration across STEM disciplines through an authentic, high visibility research experience—an approach that embraces the Next Generation Science Standards. SSEP immerses hundreds of students at the local level in the research experience—students are truly given the ability to be real scientists and engineers. In June 2017, fifteen SkillsUSA students from across the country were selected by their peers to serve as national officers during the 53rd annual SkillsUSA National Leadership and Skills Conference held in Louisville, Ky. The students, representing both secondary and postsecondary schools in various fields of career and technical education, will serve for one year as ambassadors for the organization, representing all SkillsUSA student members. We are proud to say that Grace Kirrane, a Senior in the Monty Tech Health Occupations program, was elected to serve as National Region I Vice President for the 2017-2018 school year. In addition, Grace was one of only 17 students from Massachusetts who qualified to receive the President’s Service Award for 2017. Congratulations Grace! 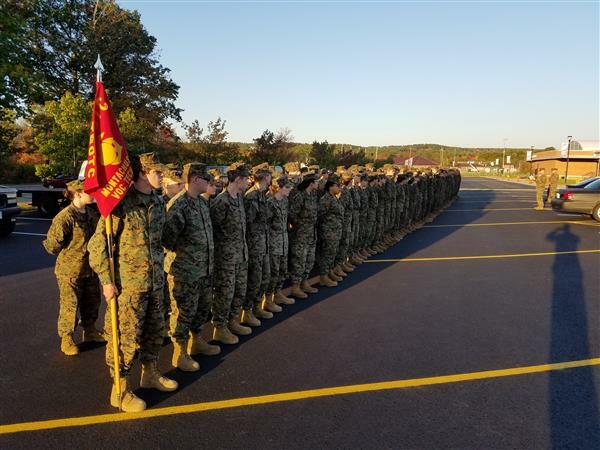 55 students, led by the school’s Marine Corps JROTC instructors, 1st Sergeant Paul Jornet (Ret.) and 1st Sergeant Shane Dillon (Ret. ), have raised more tha $50,000 to support an oustanding community service project. In February 2018, students, instructors and chaperones will travel to Wharton, Texas, where they will spend their February vacation hanging sheetrock, installing floors, painting, plastering, and breathing new life into 14 homes that remain so damaged families are unable to inhabit them. “When I shared the story of this town and the devastation that occurred during the storm with our Cadets, the decision to support this community was unanimous. 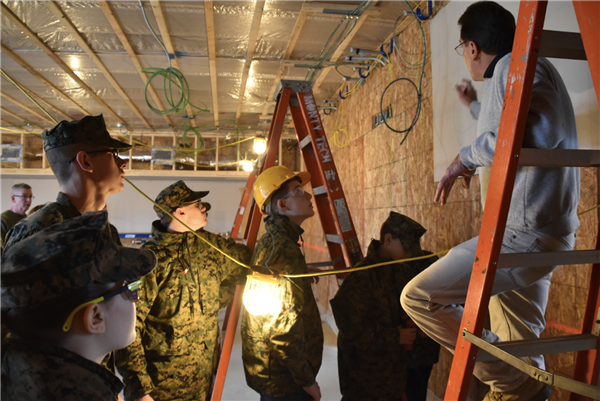 We have raised more than $50,000 to purchase building materials needed for this effort, which is, without a doubt, one of the most outstanding leadership development exercises I have had the privilege of supporting,” said 1st Sgt. Jornet. However, a project of this magnitude could not be accomplished by Monty Tech students and instructors alone. “This event has gained national support from the United States Marine Corps, which sees this undertaking as both a worthy leadership exercise for the cadets and a excellent opportunity to assist people who were greatly effected by Hurricane Harvey,” continued Jornet. “The United States Marine Corps has agreed to cover all travel and dining expenses." For the past two years, Monty Tech students and instructors have been building a 7,500 sq./ft. Veterinary Science Training Center and Clinic, to support the school's newest vocational-technical program. Responding to local workforce needs and student interest, school officials launched an impressive fundraising campaign, and have raised more than $2.5M to date, in private sector donations, grants, and in-kind goods and services. 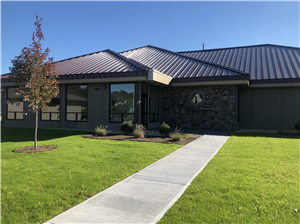 This state-of-the-art facility will house the Monty Tech Veterinary Science Training program, open to students in grades 9-12, as well as a veterinary clinic, serving pets from low income families across North Central Massachusetts. 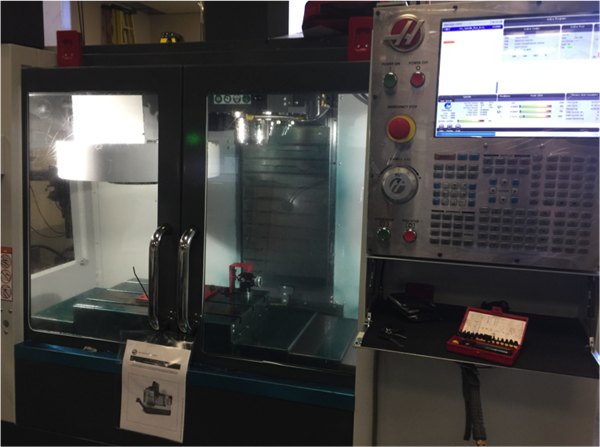 Thanks to an extremely generous $435,000 Skills Capital Grant, the Monty Tech Machine Technology program has been recently upgraded to include new CNC machines and a metrology lab. The new lab, developed in partnership with L.S. Starrett Company, has allowed instructors to expand their curriculum to include lessons in precision measurement and clean room procedures. 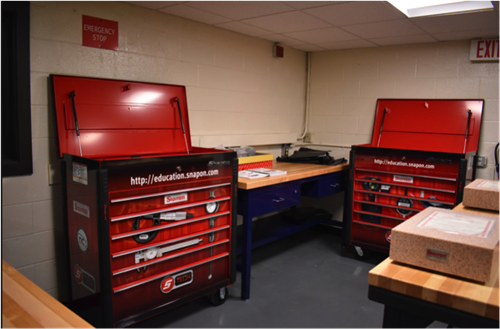 The added equipment also includes two Snap-On and Starrett precision measurement instrumentation cabinets, which provide students with opportunities to earn PMI (Precision Measurement Instruments) and AMI (Advanced Measurement Instruments) certifications. 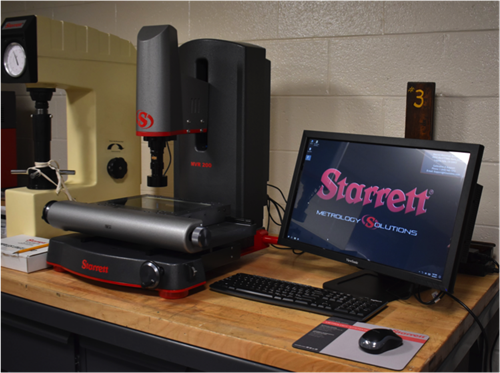 As a result, Monty Tech is the only school in the country to offer two levels of Starrett/NC3 training.